Frank’s Auto Service is the premier Walnut Creek Subaru service and repair shop. We offer comprehensive services and repairs for all Subaru vehicles – from the nimble Impreza, to the latest Ascent. Whether your Subaru needs a simple oil service, or requires complex diagnostics and repairs, Frank’s Auto Service is your premier Walnut Creek Subaru service and repair specialist. At Frank’s Auto Service, our nationally ASE certified technicians offer complete Subaru service following factory recommended guidelines for all the Subaru models, including Impreza, Forester, Legacy, Outback, WRX, BRZ, and Crosstreck. Frank’s Auto Service has been serving Walnut Creek for over sixty years. Our nationally ASE certified technicians continually update their knowledge and skills, as the auto industry moves towards more and more computerized cars. Today our technicians have the cutting edge training and state of the art tools to work on the latest Subaru models, including Subaru hybrids. 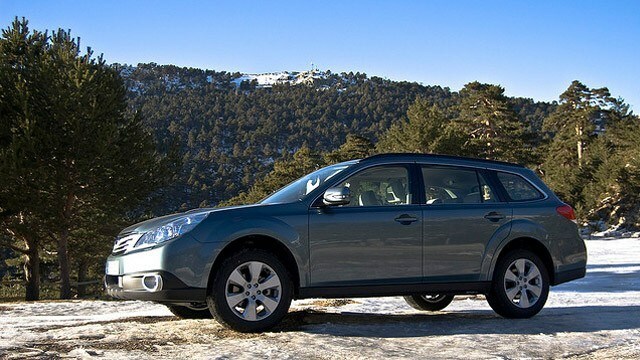 Regular service will keep your Subaru running reliably and at its peak. Since many Subaru models are prone to oil leaks, regular oil service is extremely important for Subarus. Driving in Bay Area traffic take a heavy toll on your vehicle, especially engine, the tires and brakes. To keep your Subaru in top condition, we recommend that you have your car inspected by a Subaru specialist at least twice a year. Frank’s Auto Service in Walnut Creek provides full service auto repair experience – whatever ails your Subaru, we can diagnose it and repair it, usually the same day. Here is an abbreviated list of our services: factory recommended maintenance, water pump repair or replacement, “rough idle”, the “check engine” light diagnostics and repairs, evap leak, brake repair, ac repair, transmission problems, engine repair, oil leak repair, coolant leak repair, radiator repair or replacement, hard shifting, fuel pump failure, head gasket leaks, timing belt/chain repair and replacement, to name just a few. For your convenience, you can schedule appointment online, or give us a call – we are here to help.